Is A New Maintenance Facility On Sandy Hook For The Birds? The National Park Service’s Sandy Hook Unit is proposing to build a large maintenance facility in the midst of a heavily wooded section of Gateway National Recreation Area on Sandy Hook, which happens to be the highest point of the peninsula. The rationale behind the project is would allow the movement of vehicles and equipment to higher ground in a safe facility and reduce the risk of them being damaged in future floods and storms. There is opposition to the project, which feels by eliminating critical forest you’ll kill the birds. So the question at hand is, do you destroy existing forest to build a building because it’s the highest point on Sandy Hook, or do you plant more trees and plants for mitigation purposes and build the maintenance facility somewhere else, lower and change the building to meet the needs of that area? Fire trucks or ambulances or just regular trucks?. Moving them off the hook in a storm. Henry Hudson or Kevookjian field on 36, per agreement with Highlands, would save some money and keep the fragile environment in place, safer for the vehicles too.. Right. 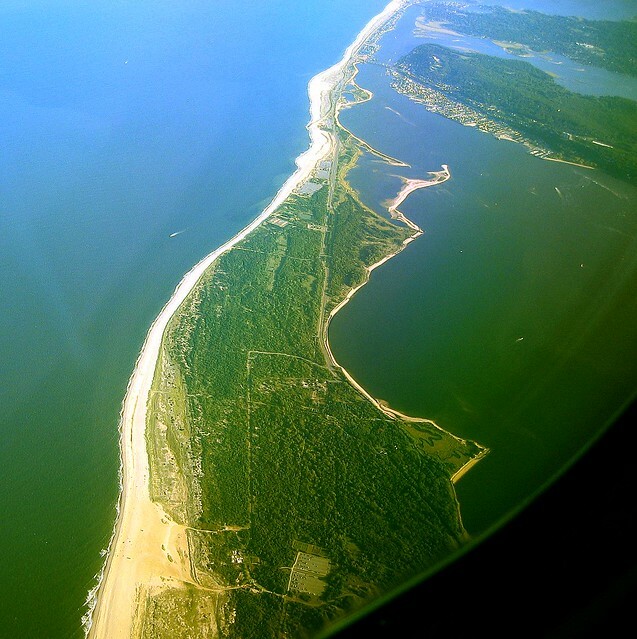 The “highest point on Sandy Hook” is still ON Sandy Hook. Pull that stuff off if there’s a storm incoming, and put it somewhere on the hill.